Elderly people make up a greater proportion of the population in Florida than they do in almost any other state. Therefore, Florida nursing home residents are especially vulnerable to nursing home abuse, since nursing homes are frequently understaffed. It is often impossible for nursing home staff to provide adequate supervision for all of the patients all of the time, and sometimes cutting corners is inevitable, although that doesn’t make it right. 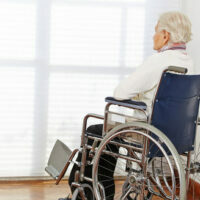 Nursing home abuse and neglect can take many forms. One of the forms it can take is over-prescription of medications, sometimes with the ulterior motive of making unruly patients easier to control. A drug that has recently made news because of its misuse in nursing homes is Nuedexta. When used correctly, the drug can be very beneficial, but currently it is sometimes prescribed in ways that put elderly residents of nursing homes at risk. The original purpose of Nuedexta, and the only use for which is currently has official approval, is as a treatment for pseudobulbar affect (PBA). PBA is not a disease in itself, but rather a symptom that sometimes occurs as a result of other neurological illnesses or injuries. PBA consists of prolonged episodes of laughing or crying when there is no direct stimulus that would cause this behavior. Most often diagnosed in elderly patients, it is usually the result of a stroke or traumatic brain injury, or else a symptom of a neurological disease such as multiple sclerosis or Lou Gehrig’s disease. Some doctors also prescribe Nuedexta to treat the behavioral symptoms of dementia, whether the dementia is related to Alzheimer’s disease or another cause. Several years ago, Avanir, the company that makes the drug, announced trials to test the suitably of Nuedexta in treating behavioral problems stemming from Alzheimer’s disease. The results of those trials, if they were completed, do not seem to be available, making PBA the only uncontroversial use of Nuedexta. One of the side effects of Nuedexta is that it can interfere with patients’ balance, putting them at increased risk of falling. For patients with PBA, it is worthwhile to take this risk, as the drug is one of the best treatments for such a debilitating symptom. When Nuedexta is being prescribed simply to reduce aggression or agitation in patients with dementia, it is less clear that the benefits outweigh the risks. Nursing home patients are at a high risk for falls, and Nuedexta can double that risk. Florida standards for nursing home care do not permit nursing homes to give patients unnecessary medications. They are required only to prescribe medicine in ways that will benefit patients, not simply in ways that will make patients cause less trouble. If you suspect that your loved one is being mistreated in a nursing home, act now to stop the abuse before it continues. Contact Bundza & Rodriguez in Daytona Beach, Florida for a legal consultation.